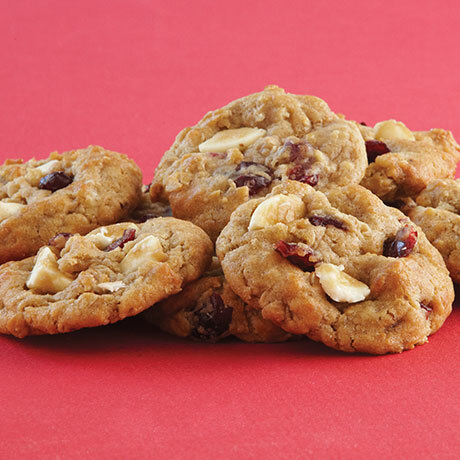 The combination of white chocolate, cranberry and oatmeal bring a blast of delectable flavor to every bite. Real butter, real rolled oats, real fruit, real mind-blowing. 48 preportioned cookies per box.